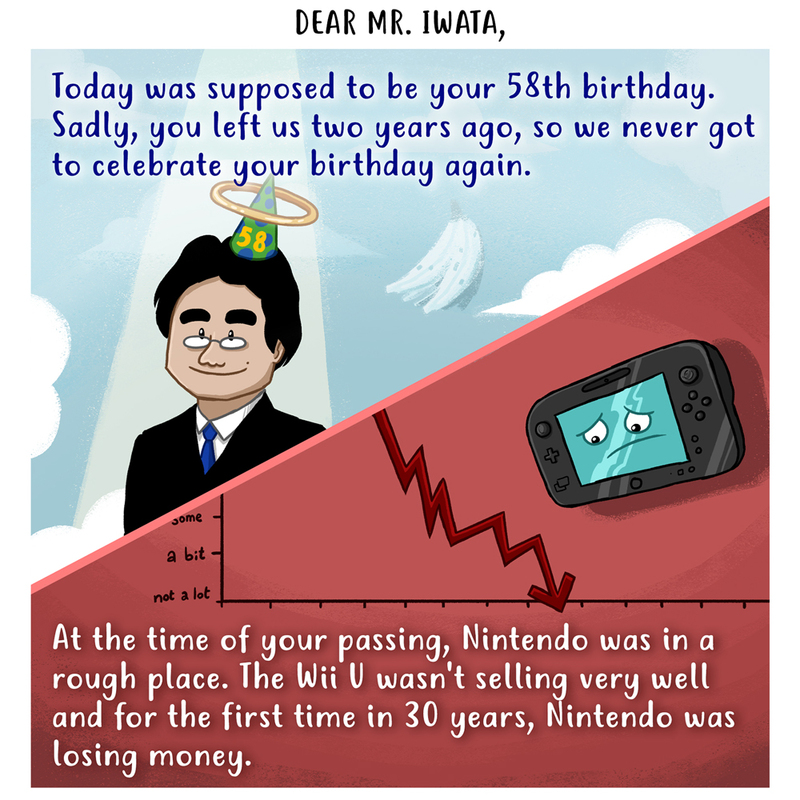 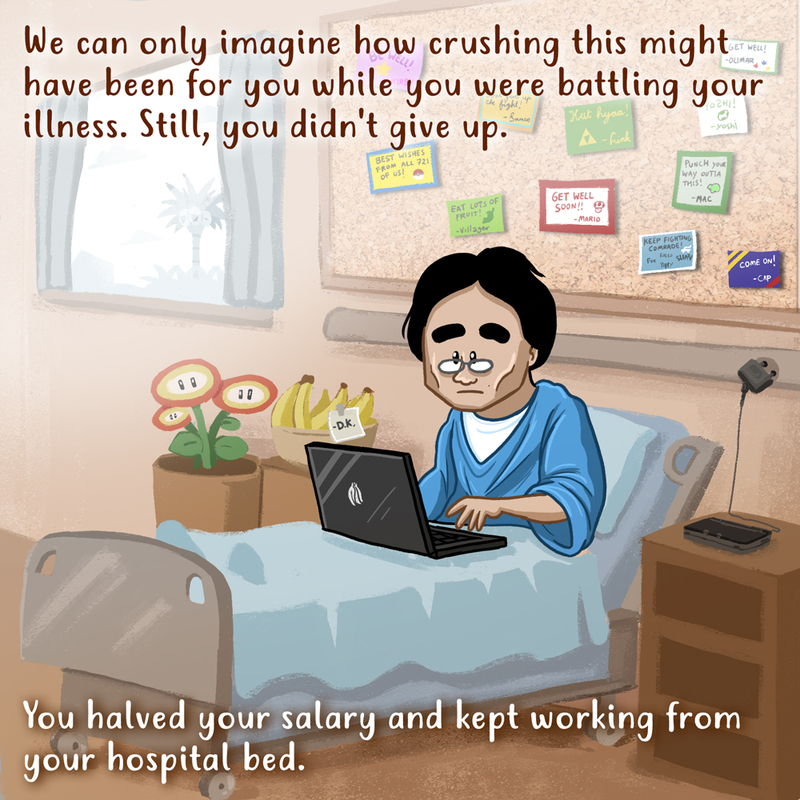 Today, December 6th, Satoru Iwata was supposed to celebrate his birthday. 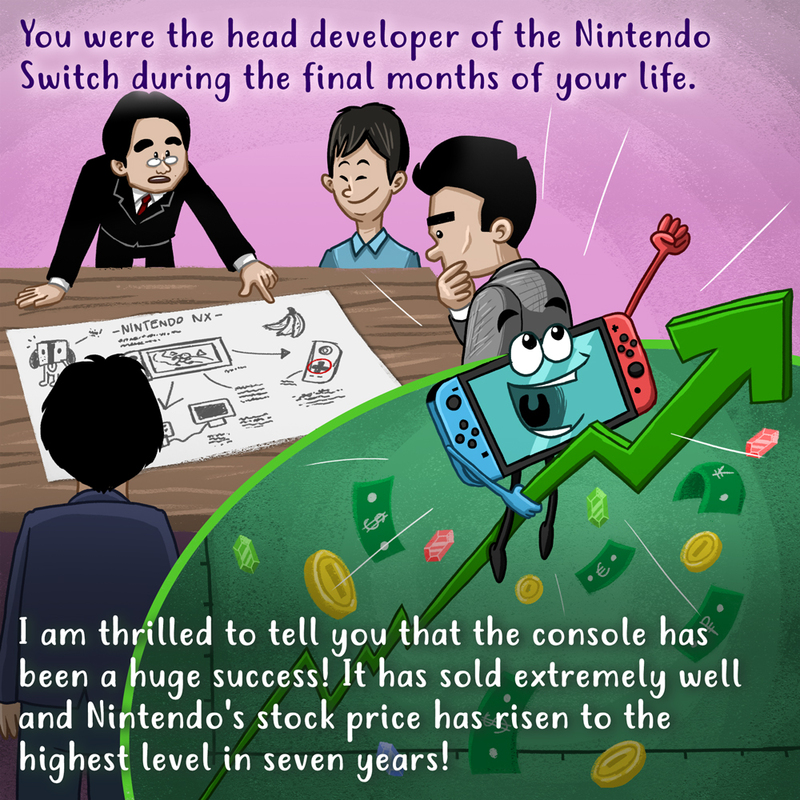 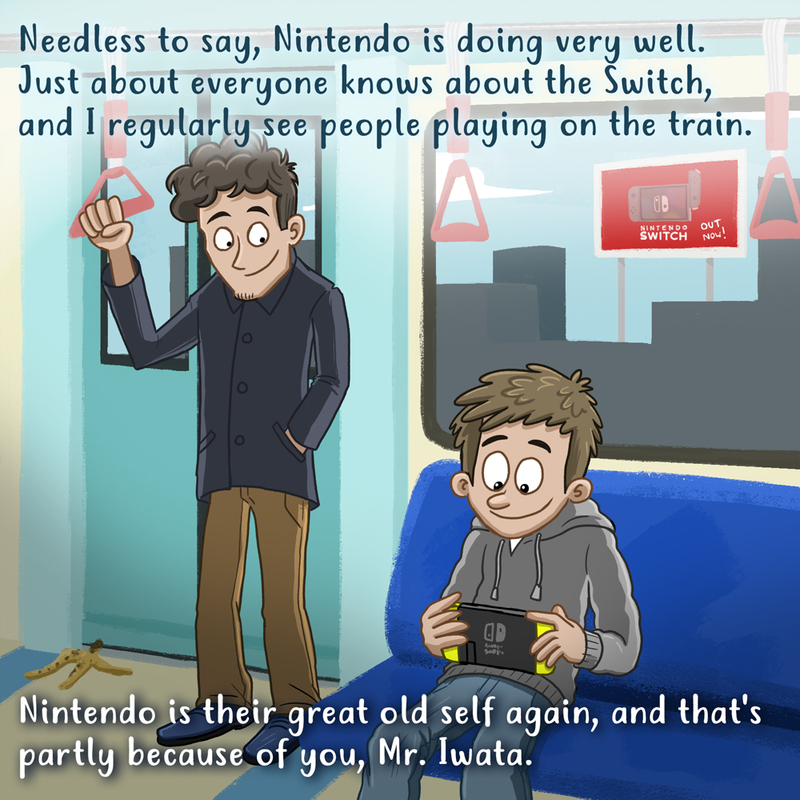 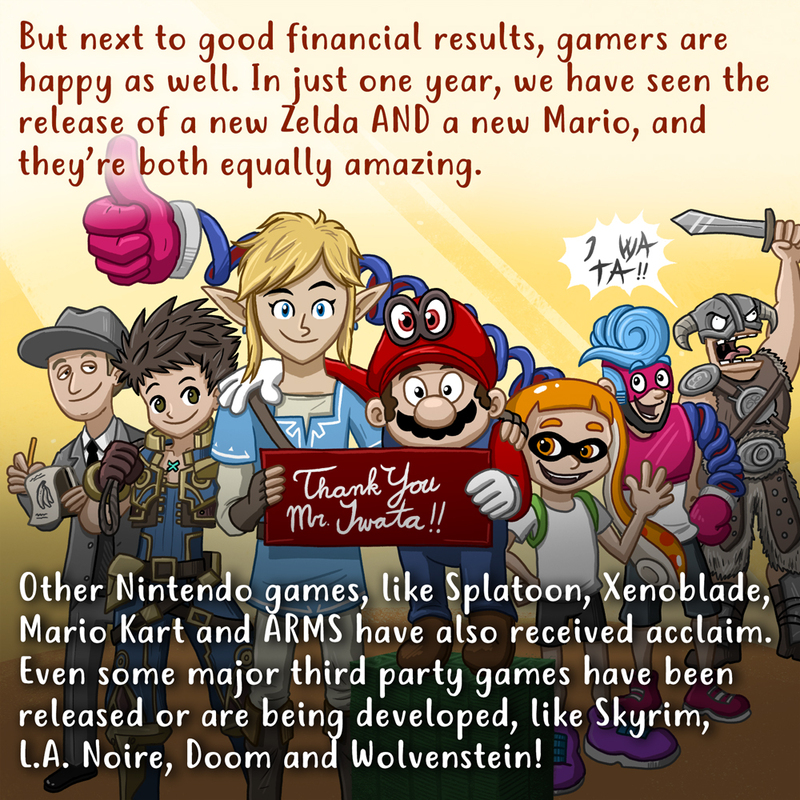 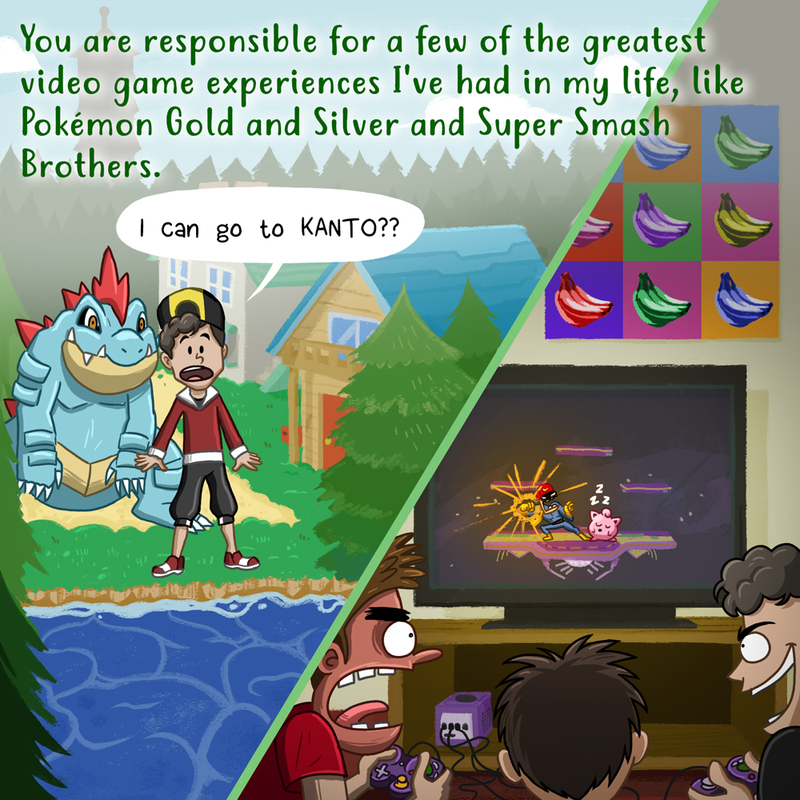 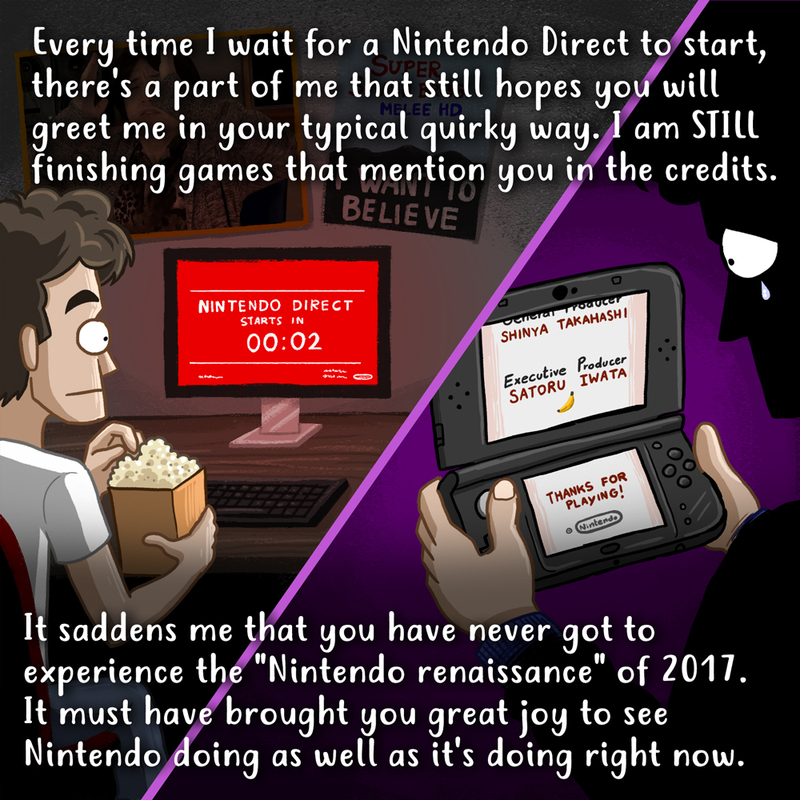 I’m still sad he never got to see Nintendo doing this well again, so I wrote him this “letter”. 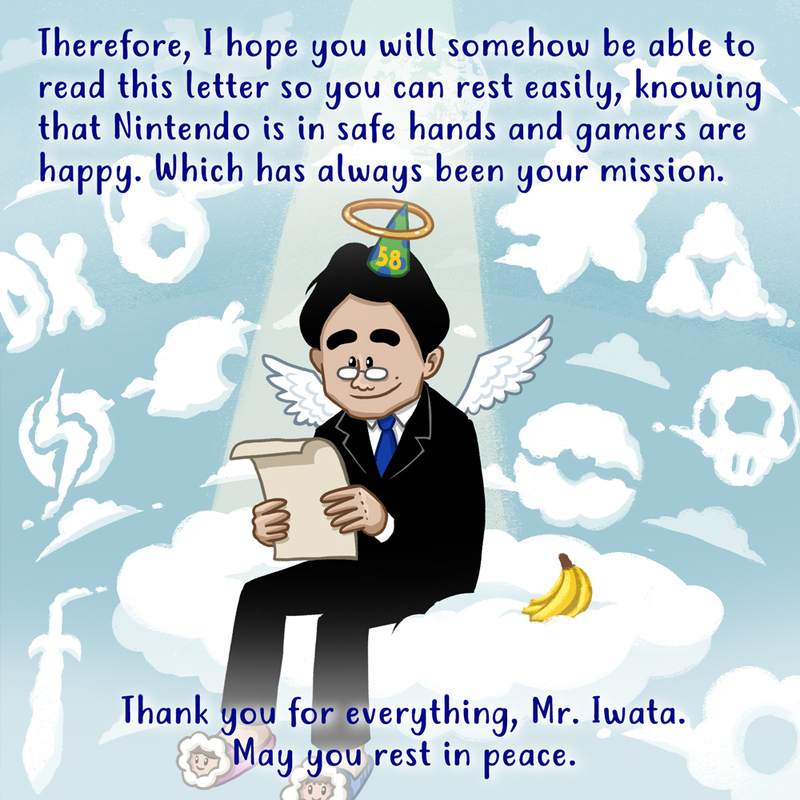 Rest in peace, Mr. Iwata.